Tags: Basketball Courts, Gazebo / Covered Pavillion, Good for Bike Riders, Good for Ride-on Toys / Gliders, No Bathroom facility, Open Green Space, Picnic Tables, Public Park, Street Parking, Water Fountain(s), Ages 0-2, Ages 3-5, Ages 5-12, Dirty Sand Surface, Fireman Pole, Full Sun, Monkey Bars, Mulch Surface, Partially Fenced, Play House, Play Structure for Older Kids, Play Structure for Younger Kids, Sandlot, Slide(s), Swing(s) -- Bucket / Baby, Tube Slide, Zip Slide, 22201, Arlington, Virginia, Free, Playground. 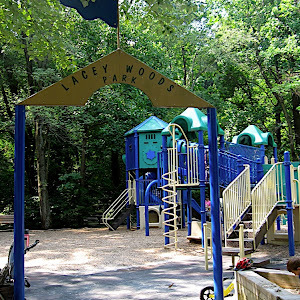 Tags: Basketball Courts, Bathroom Available On Site, Charcoal Grills, Gazebo / Covered Pavillion, Good for Ride-on Toys / Gliders, Hiking / Walking Trail(s), Open Green Space, Picnic Tables, Public Park, Street Parking, Water Fountain(s), Ages 0-2, Ages 3-5, Ages 5-12, Mulch Surface, Partially Fenced, Play House, Play Structure for Older Kids, Play Structure for Younger Kids, Sandlot, Slide(s), Swing(s) -- Bucket / Baby, Very Shady, White Sand, Zip Slide, 22205, Arlington, Virginia, Free, Playground. Tags: Basketball Courts, Bathroom in Building Near-by, Open Green Space, Parking Lot, Picnic Tables, Plentiful Parking, Public Park, Tennis Courts, Ages 0-2, Ages 3-5, Fire Truck Themed, Full Sun, Fully Enclosed, Mulch Surface, Partial Shade, Play House, Play Structure for Younger Kids, Slide(s), Soft Rubber Surface, Swing(s) -- Bucket / Baby, Swing(s) -- Regular, 22207, Arlington, Virginia, Free, Playground. Tags: Basketball Courts, Bathroom in Building Near-by, Good for Ride-on Toys / Gliders, Parking Lot, Picnic Tables, Playing Field, Public Park, Water Fountain(s), Ages 0-2, Ages 3-5, Dirty Sand Surface, Fully Enclosed, Mulch Surface, Partial Shade, Play Structure for Younger Kids, Sandlot, Slide(s), 22207, Arlington, Virginia, Free, Playground. Tags: Bathroom in Building Near-by, Open Green Space, Parking Lot, Picnic Tables, Plentiful Parking, Private Property, Street Parking, Ages 0-2, Ages 3-5, Fully Enclosed, Mulch Surface, Play Structure for Younger Kids, Swing(s) -- Bucket / Baby, Swing(s) -- Regular, Very Shady, 22207, Arlington, Virginia, Free, Playground.